As I think up initiatives for my business and try to organize all the possibilities of growth, I’m reminded of this. I can come up with anything. But, can it be executed? How do we move forward? How hard will it be to implement? Do we have the time? Do we have the money? The difficulty of any of my ideas are in those questions, and any of those questions can stop me in my tracks. At this point I can pretty much say it’s not fear that holds me back. I’ve learned to take risks and I know how to hedge my bets. When something seems uncomfortable, it usually means it’s worth doing as it will stretch my limits or the limits of the business. I would say what stops me tends to be my perception of the enormity of the task. So, how do you ever start? Break it down: Chunks are better. Any plan can be broken down into chunks. Recently, I read “The Spirit of Kaizen” by Robert Mauer. It’s central premis is that we often don’t enact plans and dreams because our survival instinct immediately gets overwhelmed at any large changes to our routine. 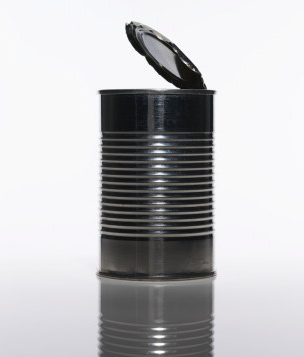 Large changes to our routine equals danger to our survival instinct. Survival instinct is controlled by our primitive, non reasoning brain. It’s all about fight or flight and it doesn’t know the difference between being chased by a bear or embarking on a new set of goals. But, if we break any difficult change or plan down into smaller individual action steps, our brains see a rabbit not a bear, and are fooled into not questioning our risks, new behavior and decisions. Get inspired: Constant learning is the hallmark of all achievers. If you don’t have time to train yourself to succeed, what is it you have time for? Watching ‘The Bachelor’? Putting positive examples and new concepts into your head can inspire you, and give you examples of determination that are incredibly motivating. Read business books, tech manuals, anything new in your field. Start Now: Do something great. If you can’t think of anything great, do what you can think of, it may turn out great. If it doesn’t turn out great, dont be afraid to try again. As the old Chinese saying goes: The best time to plant a tree is 20 years ago. The second best time is today. 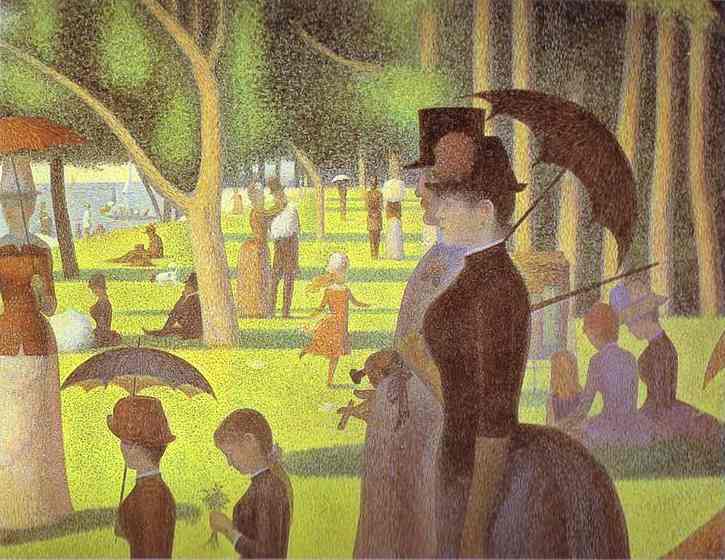 Back to Georges Seurat. 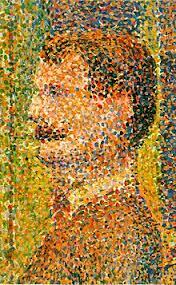 He invented an impressionistic style called pointillism. He used small dots of different colors that fused to make new colors when viewed at a distance. The same idea as the RGB color matrix used in LED television screens. You have to think of your goals that way. The goals for your relationships, your business, your health all fuse together to create a balanced, full life. The small chunks all put together will get you to where you want to go.